Eight local artists and makers are joining together in an exciting new venture. The first ever exhibition of Red Kite Artists and Makers takes off at the Old Fire Station, Henley-on-Thames , the exhibition is free and will show an eclectic mix of paintings, ceramics and upcycled decorative objects. Red Kite aims to showcase a slice of the vibrant creative scene which thrives in and around Henley. It is a new collective of creative people from Berkshire and Oxfordshire. Using diverse media � oils, acrylics, watercolour and fabric � the painters are captivated by light, landscapes and animal life. The ceramics are inspired by the sea and wildlife, while worn and ordinary items are transformed into unique objects through d�coupage and decorative techniques. Maidenhead are now absolutely certain of their place again in the top division of non-league football next season after an excellent first-ever season at the top. After two home wins in the past week they have now eased past the critical 50-points mark and can use their remaining games this season as something of a pre-season for the next campaign. That doesn't mean they will take their foot off the pedal, however. Their midweek game brings a return visit from promotion-chasing Sutton United, who were 3-2 up when the original game was abandoned three weeks ago. Could be just as close and exciting again. The History of Reading Society continue our 2018 monthly meetings when we will be welcoming Raymond Simonds, who will be telling us about The Simonds Family of Reading. Before and after the nights presentation, there will be a book sale of local interest books, David Cliffes book 'Picture Palace to Penny Plunge: Readings Cinemas' will be available, as will, Raymond Simonds' 'Brewery History'. Doors open at 7pm for a 7.30pm start. A Charity Evening for Headway - The Brian Injury Association. For our 1st Charity Gig who better to have than the band that started it all for us in April 2012. Never The Bride. They are not only lovely people to work with, but they are in our opinion the best band touring today. 1828, Edinburgh. Two Williams, William Burke and William Hare, discover a money making scheme far more lucrative than hosting lodgers. The first rule of business? Supply and demand. In the leading city for medical research, there�s a huge demand for bodies and an inconveniently low number of deaths. The profitable solution? Murder, of course. As the infamous pair flourish in their new found careers, the more they murder, the less they care but for how long will they get away with it? In a new black comedy that is as hysterical as it is historical, three actors tell the true story of the prolific duo. An exhibition by Woodley and Earley Arts Group. Over one hundred original paintings and crafts for sale. Expect a wide range of subjects to be represented amongst the 100+ exhibits comprising oils, acrylics, watercolour, pastels and other media. Our members will also display diverse crafts such as jewellery and greetings cards. Free admission, 10am to 5pm each day. Art lovers and artists meet face to face, to browse, to talk, to admire and to buy. Contemporary Art Fairs � Reading was set up in 2010 as the sister event to Contemporary Art Fairs � Windsor (est. 2005), and is now a prominent national arts event. Bringing together over 160 artists, printmakers, photographers, sculptors, ceramicists and selected galleries from the UK and Europe, we offer the very best in contemporary art. With artwork from �40 to �4,000 and workshops and demonstrations, from leading artists and galleries, our artists will inspire you to create a unique space in your home or office. This is the time to allow yourself several hours to really appreciate everything there is to see. Many visitors make a full, fun, art-filled day of it. The World Village Market will be visiting Henley on Thames for the 10th year running where this established event is now firmly in the local diary for early Spring. A discerning shopper tends to turn out for our markets in Henley on Thames and our conclusion based on a good few years of observation is that if you have the right product you will have customers. The royal wedding is coming to Berkshire in May and we�re making some giant bunting to decorate the crowd barriers in Windsor.Come and help us make some beautiful Berkshire bunting to celebrate Harry and Meghan�s wedding at our fun, free workshop! You can paint, draw or sew on your design, on your own or as a group effort with family and friends � all ages and abilities welcome.Let�s show the happy couple how pleased we are for them and how proud we are that they�re getting married in our county.The workshop runs from 10am-4pm with sessions running every hour. To guarantee your place, book by emailing us with your name and preferred time slot. Electric cars: Greener, smarter, safer? With major concerns about air quality, as well as climate change - have we started a shift away from diesel and petrol towards electric vehicles? Are they more environmentally friendly? Can our electricity system cope? Find out the latest developments, and perhaps consider whether you are ready to go electric! This month we are joined by Anthony Simpson, who is currently working for the University of Reading on a two year project with a Marlow based electric car leasing and smart services company, with the objective of creating business models for smart charging of electric cars. Then add some great songs, sung with The Word Of Bob, and all the other fun things that make a Sunday Assembly. Sunday Assembly Reading is free to attend and runs entirely on donations. The Sunday Assembly is a secular congregation that celebrates life, meeting once a month at The Reading Irish Centre. Members of Sunday Assembly believe in Living Better, Helping Often and Wondering More, for no other reason than to make the most of the one life we know we have. Circus Vegas arrives in the UK for its first full British tour. Housed inside its huge Stars and Strips big top Circus Vegas merges all the elements of circus with all the glitz, glamour and spectacle that you would imagine when you think Vegas. With jaw dropping acts, scintillating costumes and the funniest of Clowns this show brings performers from all over the world, you will be sitting on the edge of your seat when not falling off them with laughter. 2 for 1 tickets any show, any day - quote 'Acrobat'. The briefest possible AGM will be followed by an illustrated talk by garden historian Dr. Kate Felus. Based on her book, The Secret Life of the Georgian Garden, Kate will reveal the previously untold story of how great landscapes were used in the eighteenth century. The smooth turf of the parkland provided for thrilling carriage driving in the Georgian equivalent of the Ferrari, the lake gave opportunities for fishing and boating (including mock sea battles with real canons) and eye-catchers provided places for eating and drinking, afternoon naps and illicit liaisons. In her freelance consultancy Kate has researched and written restoration plans for a wide range of designed landscapes from Elizabethan water gardens to Edwardian seaside parks. Kate is an experienced public speaker and her talks are laced with the same lavish illustrations and entertaining detail as the book. Celebrate the legendary work of the �Prince of Soul�. Join soul-singing sensation Wayne Hernandez and his live band on a trip down memory lane with some of Gaye�s most iconic hits, including I Heard it Through the Grapevine, What�s Going On, Sexual Healing, How Sweet it is (To Be Loved By You), Let�s Get it On and many more. With stunning vocals, incredible harmonies and an infectious energy it�s guaranteed to get any room moving! Rita O'Grady works for the Ford Motor Co plant in Dagenham, Despite performing the specialised task of sewing upholstery for the car seats, women are classified as unskilled labour and paid much less than men. Encouraged by a sympathetic union rep, Rita agrees to bring the women's grievances to Ford . The meeting goes badly and outraged by the company's lack of respect for them, Rita leads her colleagues to strike. Save the Children's popular check-out Jumble Sales returns at 10.30am on Saturday 28th of April at St.John's Hall Mortimer. All items are still 40p or 3 for �1 there will be bargains! We believe we're Berkshire's friendliest jumble sale, all welcome pop in for a cup of coffee. Lots of parking opposite. 10.30am - 12 noon, donations always welcome from 9am. Join Parkinson�s UK when we will be returning to Welford Park for our sponsored Walk. There will be two different circular walks available, a 2.5 mile walk and a more challenging 6.5 mile walk around the beautiful Welford Park estate, home of the Great British Bake Off. During the walk you will cross the River Lambourn, climb the hill to see the impressive cricket pitch whilst overlooking the historic Welford Park, explore the wonderful woodland before crossing the fields and taking in the lovely views of the surrounding countryside. Entry fee is �10 for adults and �5 for under 16s and all walkers will receive a Parkinson�s UK t-shirt, plus a medal on completing the walk. The funds raised from the Walk for Parkinson�s � Welford Park will go to Parkinson�s UK to support the vital research work taking place to find a cure for Parkinson�s and improve the lives of the 145,000 people in the UK who are affected by the condition. We support those living with Parkinson�s and their families and friends, so that no one has to face Parkinson�s alone. 05/05/2018 MURDER MYSTERY - A DISH TO DIE FOR! The BallroomBlitz immersive theatre party will transport you back to 1940's London the night before VE Day. This is an evening of live jazz & swing music, dancing and cocktails. Prepare to be placed at the centre of the action with live actors playing out the story of a soldier returning home trying to find his heartthrob and experience true 40s style revelry. An immersive and interactive Blitz Party where your courage, your cheerfulness and your resolution will bring us to victory! Dress: era appropriate. Farley Hill Bowls Club cordially invite anyone to come and have a go at Lawn Bowls on our Two Open Days this year. All you need is a pair of flat soled shoes (to protect the green) trainers will do. Club bowls will be provided and a member will give you some basic tuition, before letting you practice with others. Free tea, squash & biscuits will be served at 4.00pm, while we tell you more about the club and how it operates. N.B. We can also arrange free trail sessions for a small group or individual at any mutually convenient time. Music, floats and food will all be a part of the Nagar Kirtan, translated as religious procession. Nagar Kirtan will begin with prayers and messages for peace, with religious hymns sung by five representatives from the Reading Gurdwara (Sikh temple). Starting at 10.30am from the Siri Guru Singh Sabha Gurdwara in Cumberland Road, the procession will make its way to the temple in London Road. The procession will then make its way back to its start point in Cumberland Road where it will finish at 4pm. Free vegetarian food will be given out in the afternoon, which everyone is welcome to as the event hopes to promote friendship, mutual understanding and respect. Each year the Sikh community raise funds for a different charity, this year choosing Reading Bladder Cancer Support Group. The Wokingham May Fayre will take place on the Bank Holiday, Monday, 7 May and promises to be a very lively day of family entertainment. It is believed to be the largest street fair in the south of England, attracting thousands of people. The event takes place in Peach Street and Broad Street, where a variety of stalls are set up. The fun starts at 10am and continues until 5pm. Admission is free, but there is a small charge for some activities. The main goal of the May Fayre is to provide a low-cost and fun family event, and enable local charities and other groups to raise money for their causes. Andy Slay and his team organise the May Fayre, which is the club�s biggest annual fund raising event. Come along for a sail with one of our experienced sailors; no experience required. You can also take advantage of our licenced bar, BBQ and refreshments throughout the day. We are a friendly, family club in the heart of Maidenhead offering relaxed social sailing every Saturday from April through September, racing every Sunday morning throughout the year (unless the lake is frozen! ), an active Youth and Junior section, Thursday evening sailing from April to September and ladies and novice racing on 2nd Saturday afternoon of the month. A variety of dinghies are available for hire should you not currently own a boat. PATTERNS. They surround us. We come across them every day and yet we very rarely take that much notice of them. Exploring the hidden geometry that surrounds us, enables us to truly appreciate the way that pattern can help us to tell a story. Focusing on different forms, structures, textures and colours is a great starting point for exploring pattern and discovering the narrative that begins to unravel. The photographers who have work featured in this exhibition have taken nature, architecture, art, design and more as their inspiration. They have experimented with repetition, tessellation, symmetry, perspective, angles and magnification to create powerful images using visual patterns. PATTERNS is a touring photographic exhibition, created and supported by ThePhotographic Angle. Please check website prior to attendance for latest information as dates may be subject to change. Abbey gardens is located in Reading town centre on the corner of Kings Road and Abbey Street, approximately 5-10 minutes� walk from the main train station. On arrival, please report to the reception area, where our gallery attendant will be on hand to direct you to our space. Please note that visitors to this exhibition may also wish to view further images at 3 Forbury Road, which is a short walk away. Open 10am to 3pm - free entry. The UK's largest outdoor equestrian show with four different disciplines. 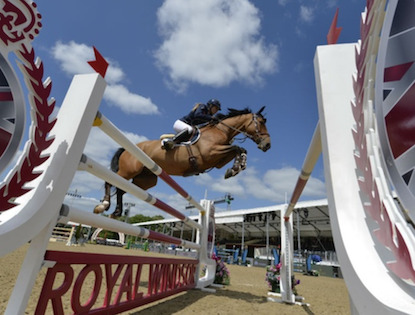 Equestrian enthusiasts and professional competitors will convene at the Royal Windsor Horse Show for a diverse schedule of disciplines that include driving, dressage, endurance, jumping and showing. Musical rides and displays from mounted regiments such as the Household Cavalry also feature, as well as the Pony Club Mounted Games and Shetland Pony Grand National. Horsemanship skills will be presented during a hacking championship, while over 200 selected exhibitors will showcase a wide selection of fashion products, furnishings and food. The Show opens half an hour before the first class in the morning (first class approx 7.00 am) and closes half an hour after the end of the last class in the evening. Please check the daily timetable below for detail. The club will be open for new bowlers to come and have a try. No equipment is necessary, just shoes without heels please. No appointment is needed. Just turn up, have a drink at the bar [ on us ! ] and have a go. The club will be open from 6 to 8pm on Friday, May 5 and from 10am to 1pm on Saturday and Sunday May 6 and 7. The club can be found at Ford's Forge in the village of Three Mile Cross, very close to the Swan pub and down a lane which is shared with the MOT Centre. For satnavs the postcode is RG7 1AT. Look out for a sandwich board at the entrance with balloons. Take the reins and race round Reading, find hidden clues and catch a killer in an immersive 3 hour murder mystery treasure hunt. The team behind A Dish To Die For and A Melody For Murder are back with their most sinister mystery yet. A Shot In The Saddle is a brand new, 3 hour, immersive Murder Mystery Treasure Hunt that challenges the public to take the reins and race round Reading to hunt down hidden evidence and catch a killer in their tracks as they crack the case - against the clock! The game centres on the murder of world-famous racehorse trainer Gideon Upp. Gideon was staying in Reading before taking his prized horse to the races but he never reached the final furlong. Someone snuck into his hotel room and shot him at point blank range. But the only fingerprints found on the pistol were Gideon�s. Scotland Yard can�t work it out � and they need your help. The whole town becomes the set for this real-life whodunnit, which fuses live-action, escape-room style puzzles, a scavenger hunt and actors with a murder mystery, as players must crack cryptic clues using their smartphones, converse with suspicious characters and find vital evidence hidden around the town, in partnership with local businesses and iconic Reading locations! Berkshire Tortoise Club is holding its annual open day. There will be live tortoises to see and some for sale (pending approval) Games for the children. Face painting. Sand Art. Guess the name and weight. Raffle and tombola. BBQ and refreshments. Cake stall. 11.30am to 3.30pm. Harris Gardens are open to the public this Sunday 2 to 5 pm. Tea, Coffee and Cakes, Plant Sale, Craft Stalls, Children's Activities, Access to the Walled Garden. There is a suggested donation of �3, helping raise funds for the 52nd Reading Scout Group. See website link for features of the Harris Garden. Experience the power of thundering rhythms on huge taiko drums, mysterious masked choreography, synchronisation timed to perfection and post-apocalyptic martial imagery in this spellbinding display of sheer energy. Mugenkyo Taiko Drummers make a welcome return to the Festival. As the UK�s longest-established taiko ensemble and Europe�s most successful professional touring company of this thrilling and energetic Japanese performance art, Mugenkyo create a contemporary look and sound, fusing the traditional spirit of taiko with a captivating modern stage performance. A fascinating evening of two halves, focusing on the dramatic affair between artist Oskar Kokoschka and composer Alma Mahler, starring operatic legend Sir John Tomlinson. In the first half, mezzo-soprano Rozanna Madylus adopts the role of Alma in The Art of Love: Alma Mahler�s Life and Music (text by Barry Millington), a sequence of music by Alma and Gustav Mahler, Zemlinsky, Webern and Wagner (arranged by David Matthews). In the second half Sir John and Counterpoise perform Kokoschka�s Doll, created specially for them by composer John Casken and writer Barry Millington, which tells the dramatic tale of the curious relationship between Oscar Kokoschka and his muse. Two couples share enduring friendships but, two of them have guilty secrets and have been arrested. They dare not tell their partners. What should they do and will their secrets be exposed? They are about to rub shoulders with some �interesting� characters. Will their lives be changed for ever?